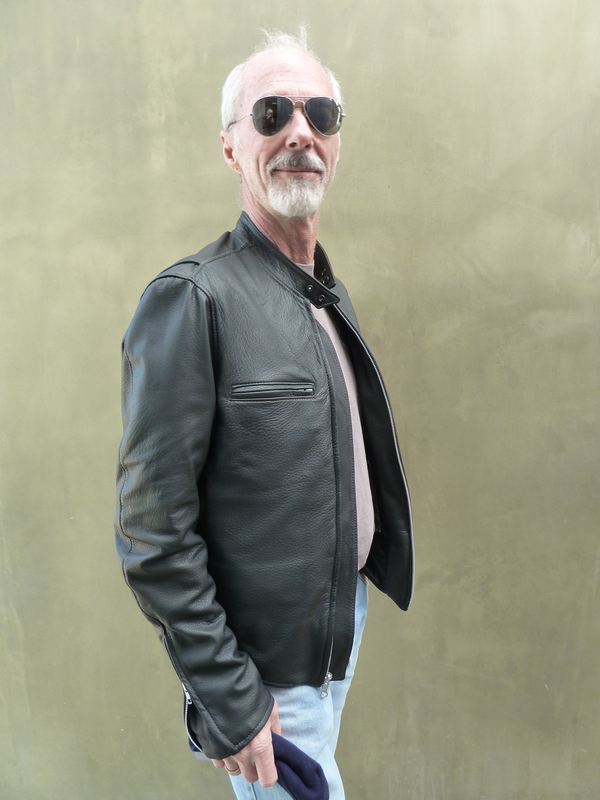 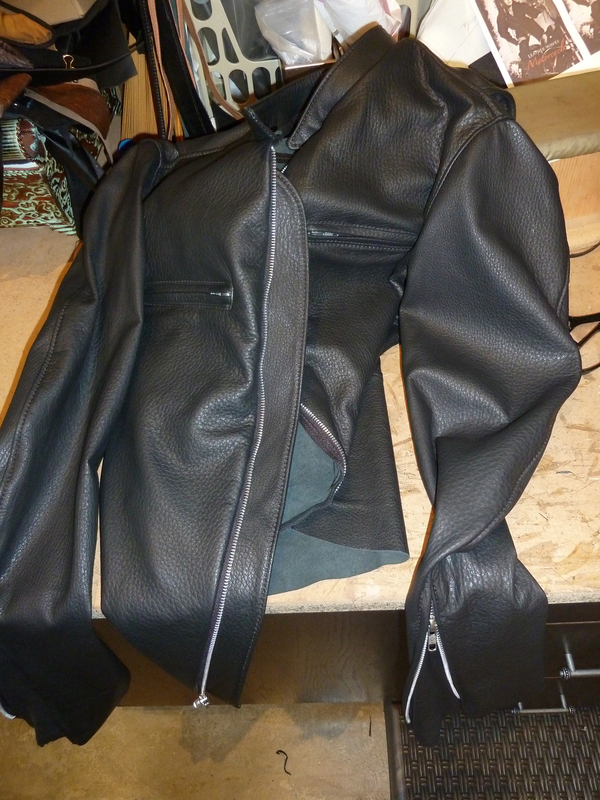 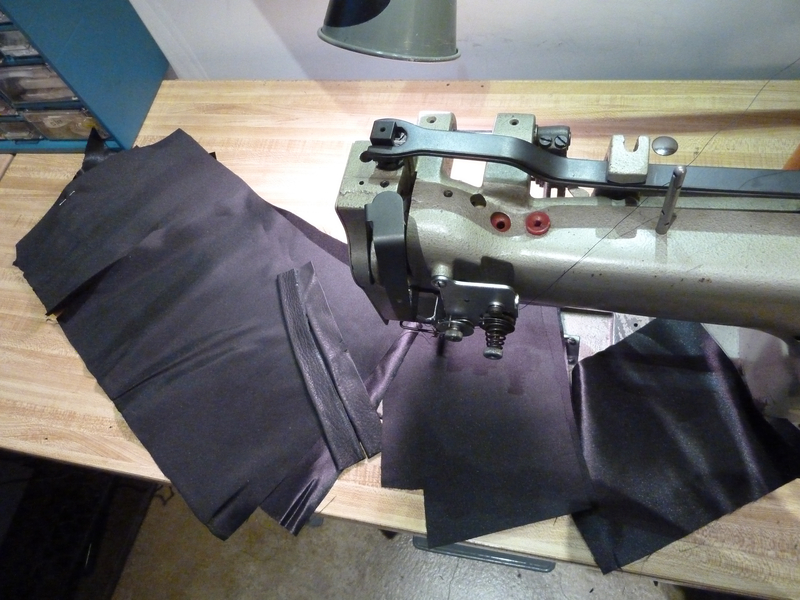 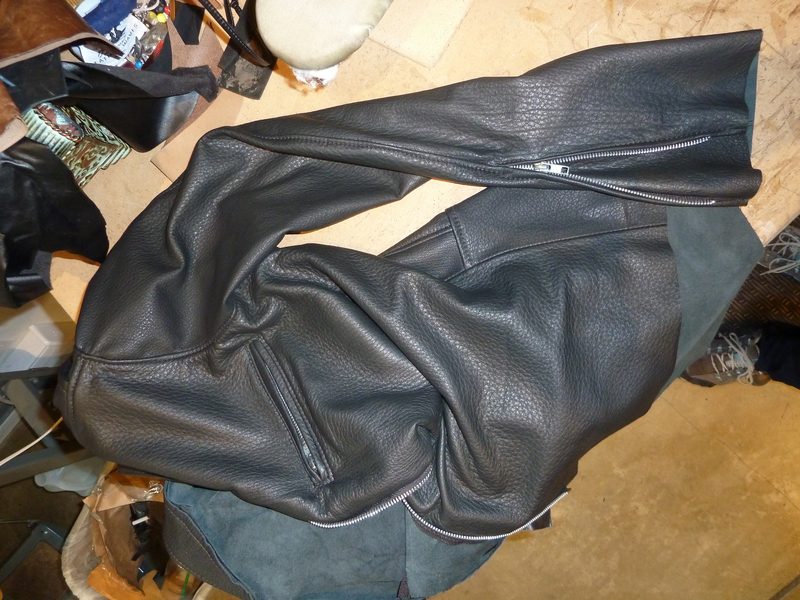 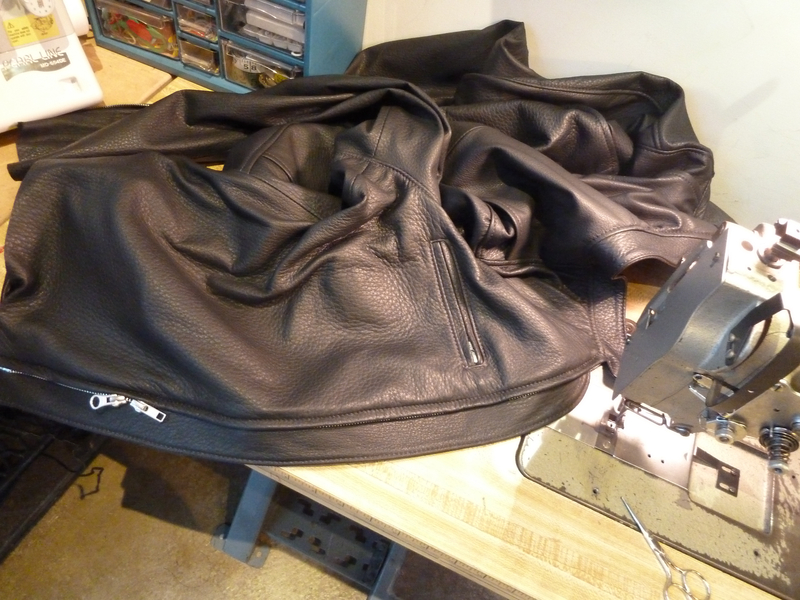 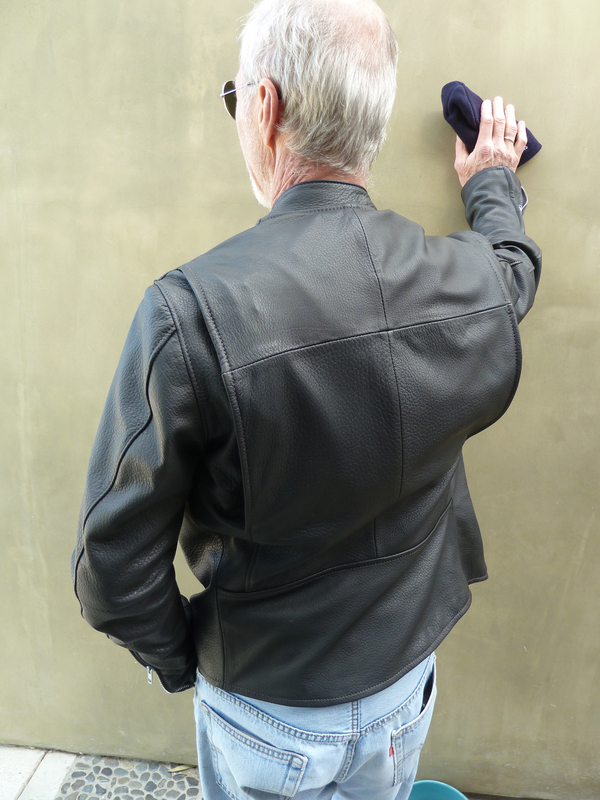 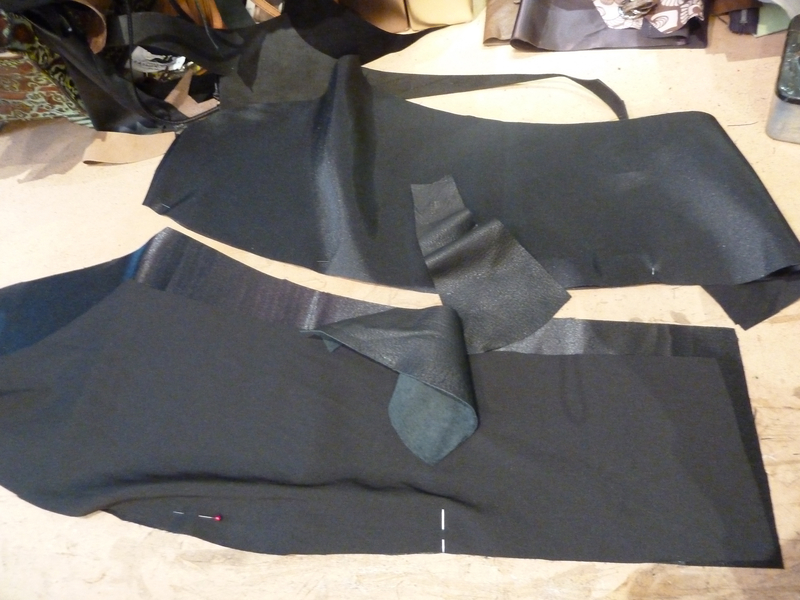 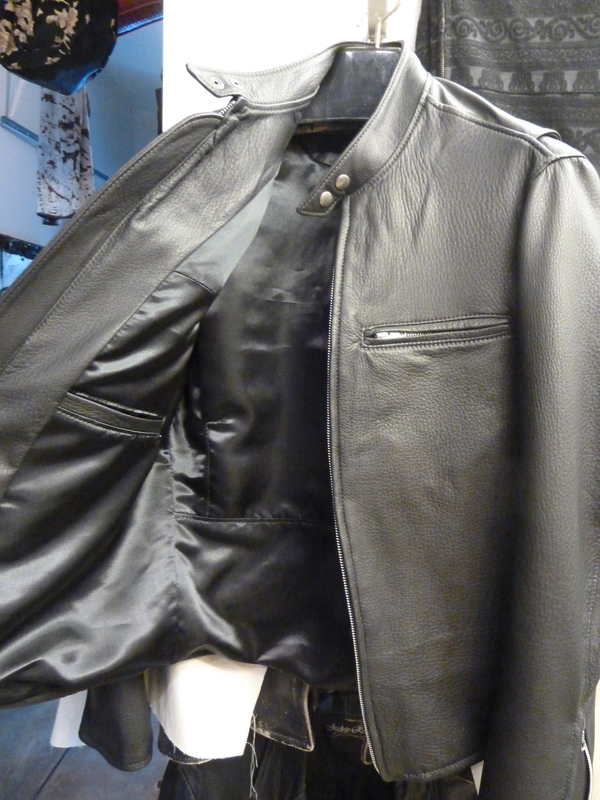 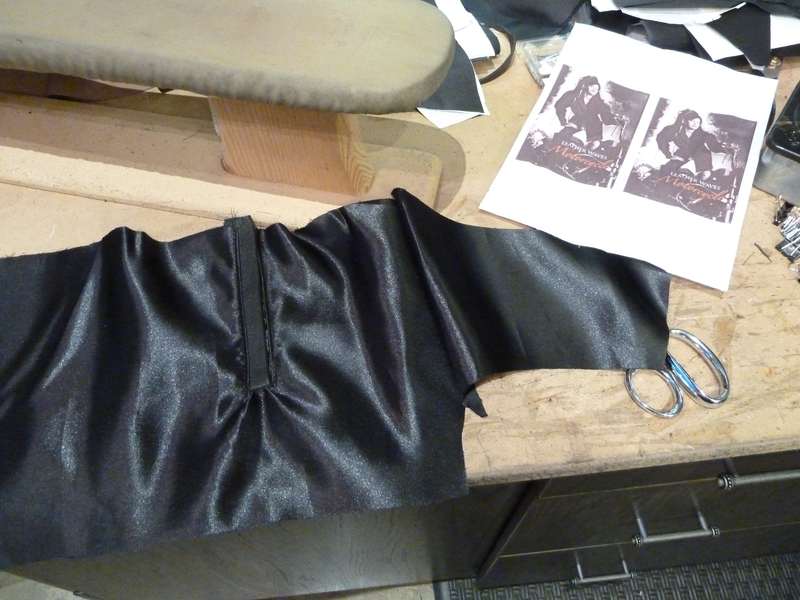 So now it’s time to make a linning and sew it to the finished shell of this Deeerskin Cafe Racer Jacket for D. B. I use a heavy satin lining because it’s durable and wears well and because it’s shiny it so easy to slip in and out of, so it’s dark and slick. 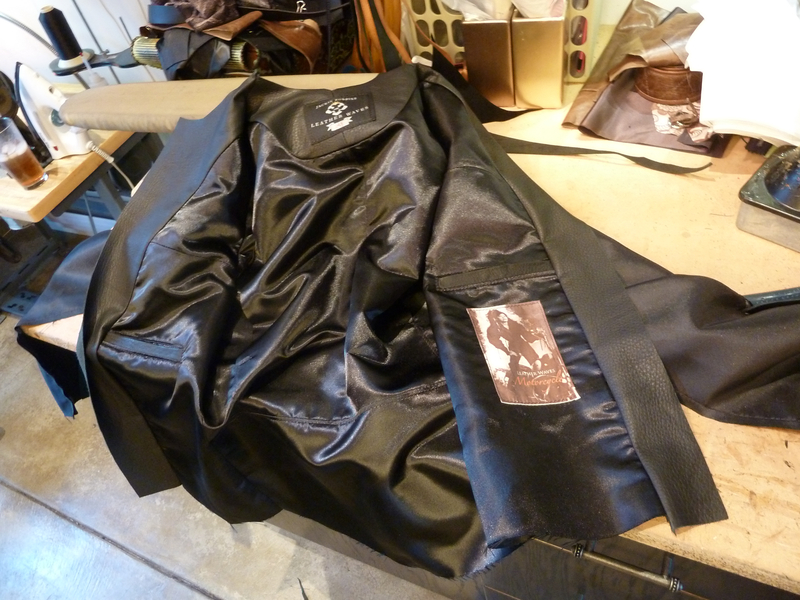 I added one of our newest vintage mortorcyle labels for fun. 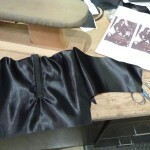 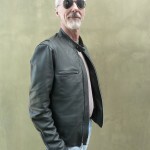 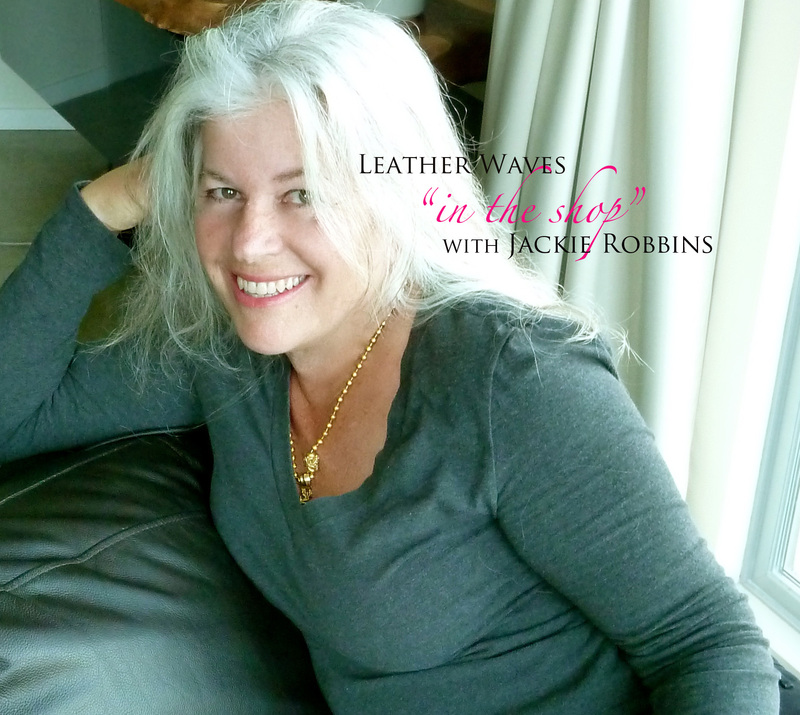 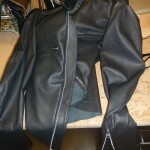 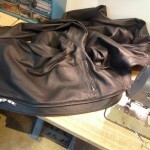 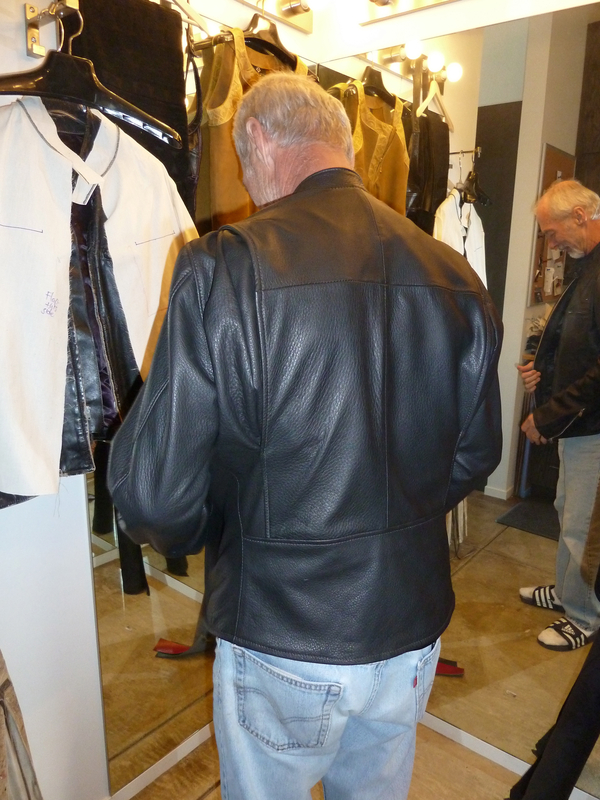 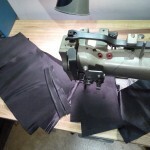 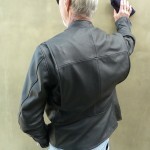 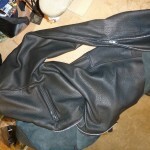 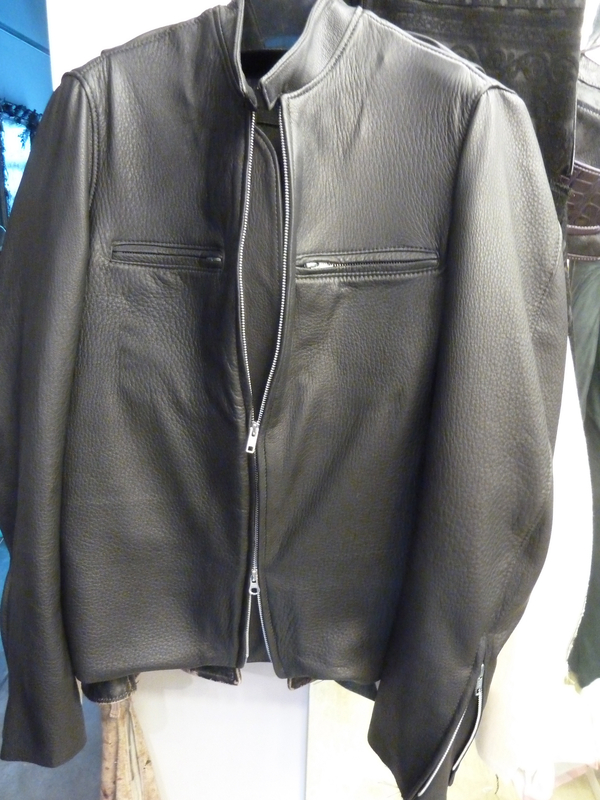 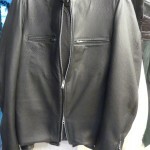 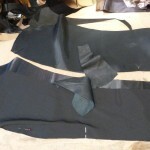 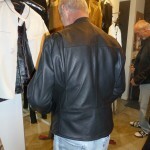 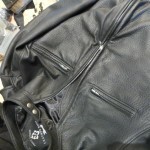 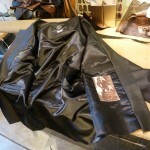 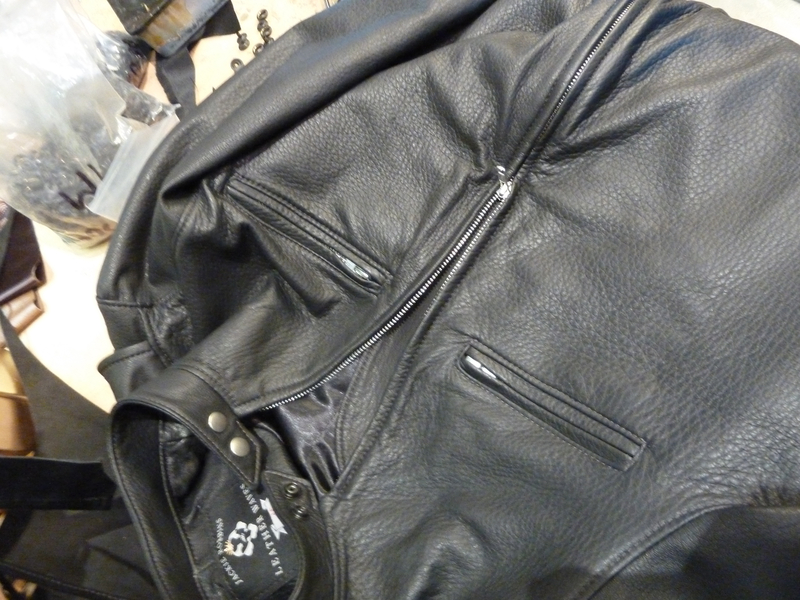 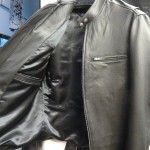 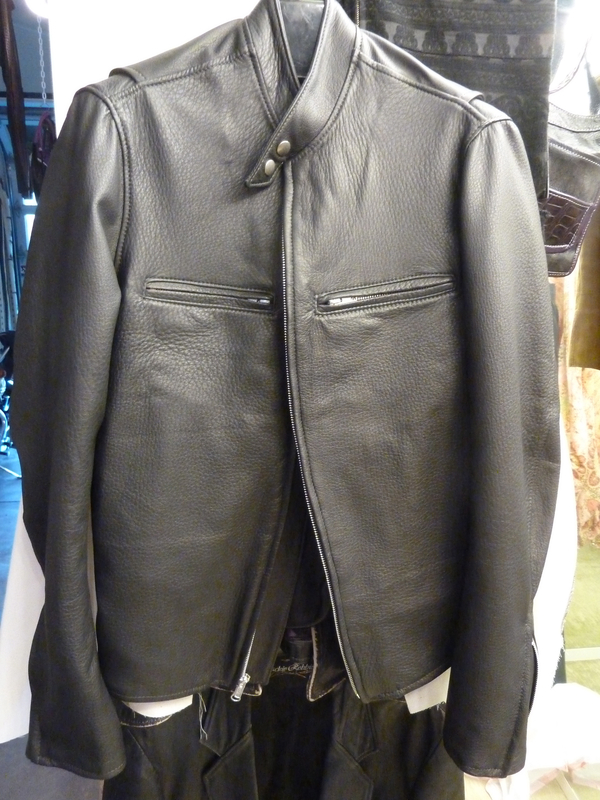 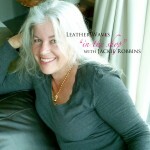 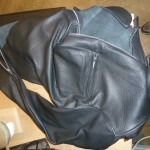 The topstiching is critical, and defines the jacket, so it’s done as carefully as possible. 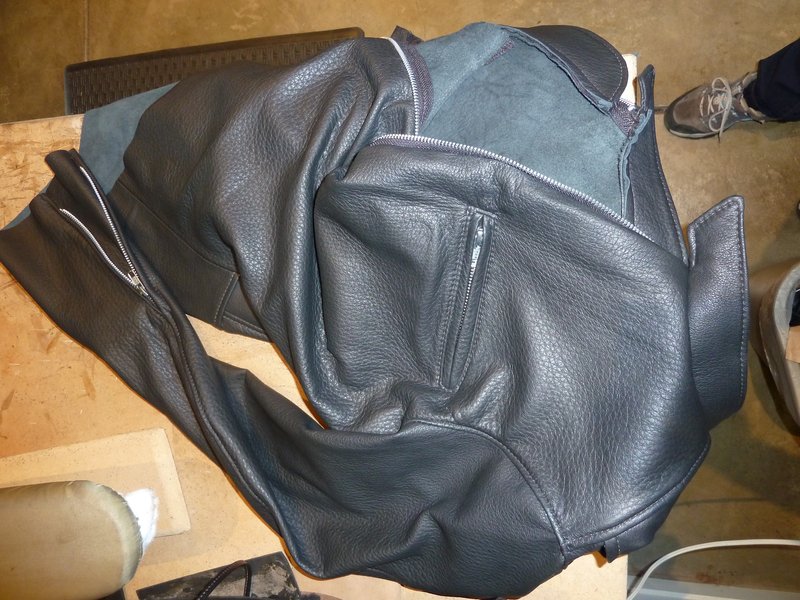 The finished product is so stealth and clean, even more refined than the original. 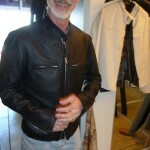 It’s so soft and pliable that D. hardly knows he’s wearing it, with the exception that he’s warm and the jacket texture is sensual to the touch…kind of like happy a puppy, girls like to come up and touch it! 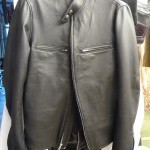 lol The jacket comes out looking great in it’s superior quality plus refined simplicity. 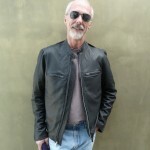 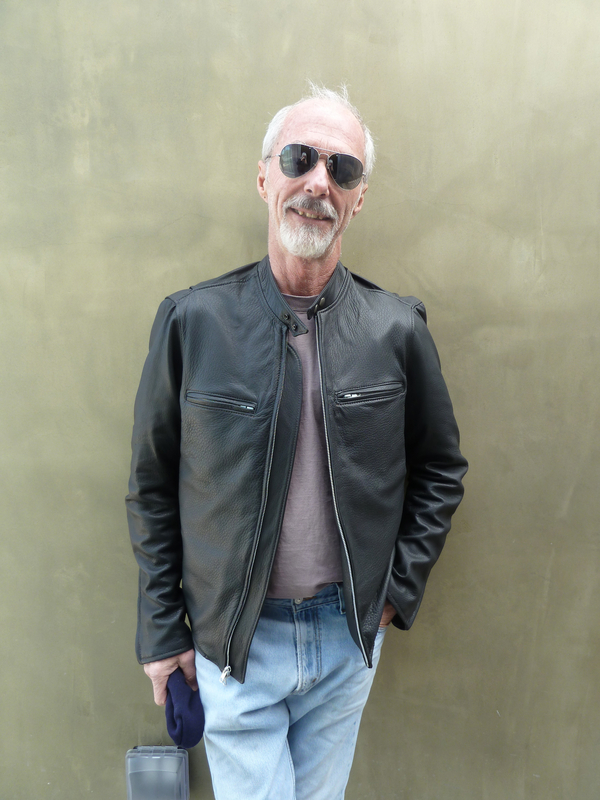 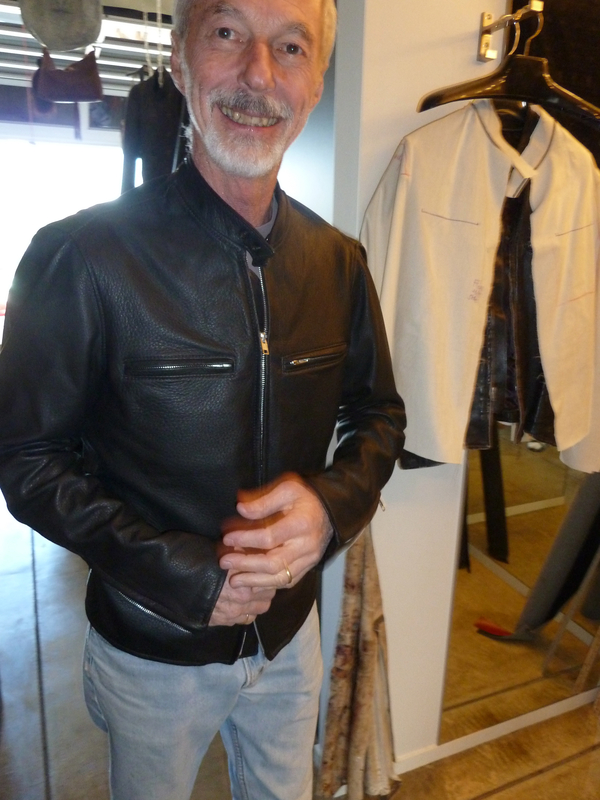 Dennis is so happy, the jacket fits perfect, and is his favorite retro design.